This is a perfect example of when game design is used to tell a story and not the other way around. It's that kind of game that feels like a book. Something that's reminiscent of games like Final Fantasy, Castlevania and many other titles considered classic. And it's this classic feel that the whole game is comitted to. Because it's slow in a good way and it should be. It is narrative which drives it forward. How do we know? Because the main source of reward is not focused on victory during combat but on the caravan's ability to move forward and survive and thus the story to move along. This curiosity for events yet to unfold is similar to what we experienced in our previously reviewed game, This War of Mine- minus the anxiety factor. 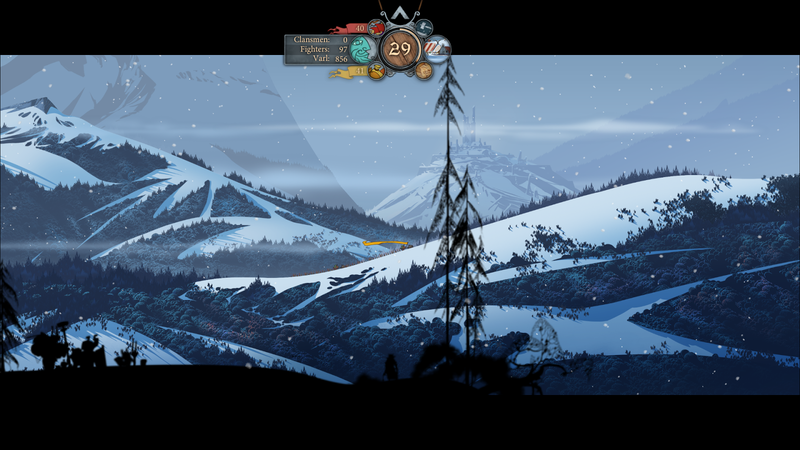 The interface elements blend in perfectly with the environments in the game and create a beautifully crafted ticking clock. It measures the passing of time in-game but also offers a clear overview of the impact your decision's have had in your likelyhood to succeed. The art is something definitely worth discussing as it takes in the norse mithology inspiration and is reminiscent of old 70's and 80's cartoons like He-Man and ThunderCats, but with the polished look and vibrance of modern graphics. 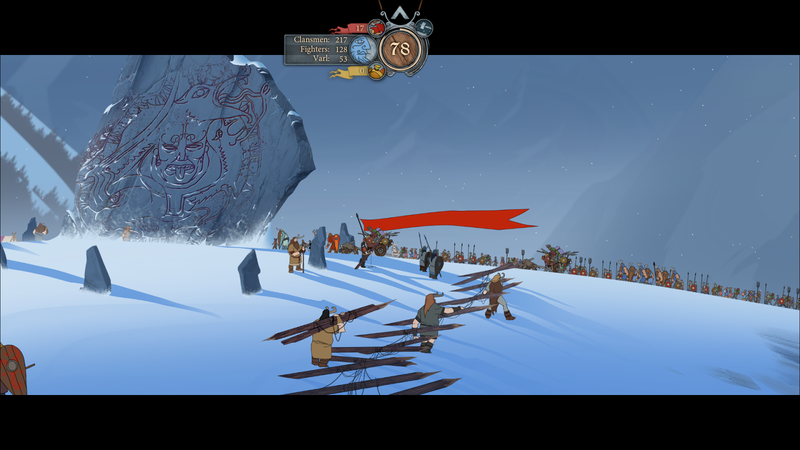 This gives it a fluid and very natural quality to combat animation which is refreshing in turn-based tactical games. 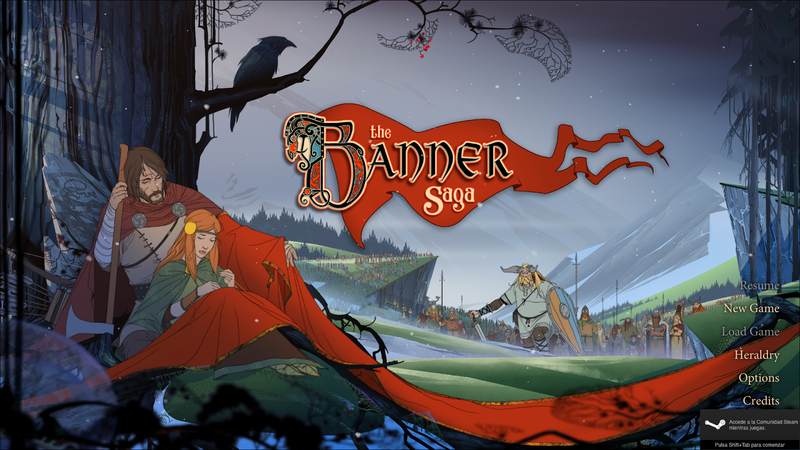 The music in The Banner Saga was composed by Austin Wintory (Journey, HORN) in collaboration with musicians like Peter Hollins, Malukah and Taylor Davis. 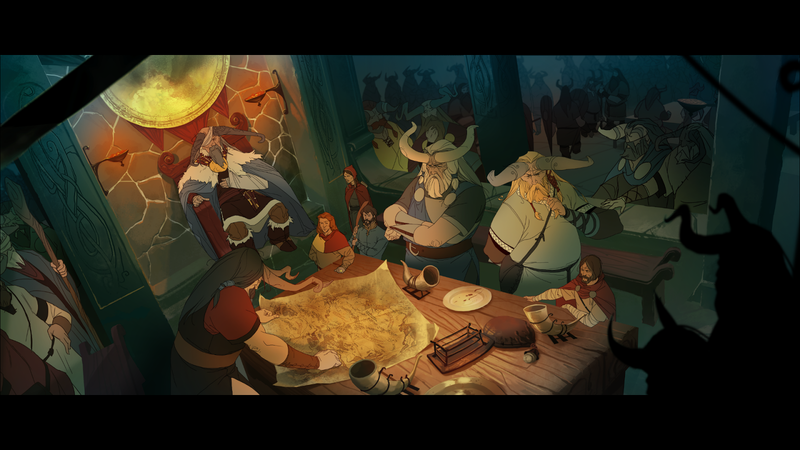 The amazing drums and solemn chanting make you feel the weight of the norse inspired world of The Banner Saga and the impending doom that threatens the land. This game is a true work of art and definitely deserves every single hour put into it. 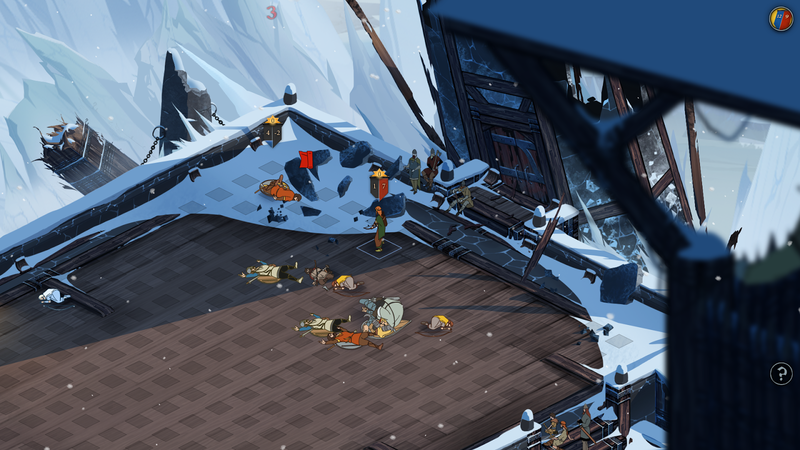 The Banner Saga 2 will be released soon so you still got time to embark on this amazing quest.